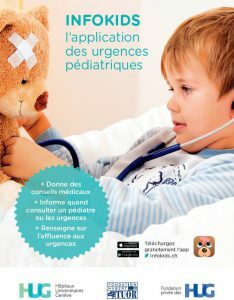 The Hubert Tuor has joined forces with the HUG private Foundation to support a project aimed at parents and designed to improve care for young patients in the paediatric emergency department in Geneva. The INFOKIDS app has been designed so that parents of sick children can get in touch with the paediatric emergency service at the HUG (Geneva University Hospitals) as soon as their child first shows symptoms. – Access to general health information on the most frequent childhood illnesses and whether the child needs to see a health professional. – The ability to announce their arrival and complete the administrative paperwork in advance. – A dynamic screen tells each patient how much longer they will need to wait, in real time. – The ability to leave the HUG and get a text message with the time of their appointment. – A record of the appointment is sent to the parents by e-mail. This includes full information about their child’s illness, how it is likely to develop and details of the treatment, based on the diagnosis made.  The FHT was impressed by the project, which uses new technologies to help young children and their parents feel better, at times that are often anxious and stressful for them. The development of the application shows that, in a world where research into artificial intelligence and robotics is in full swing, digital connections offer interactions with high added value, without taking anything away from our emotional relationships. 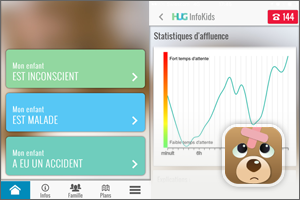 Thanks to the INFOKIDS app, young patients and their families at the HUG will get better-quality care and more coordinated follow-up. If you like the idea too, tell other people and download the app for free now!